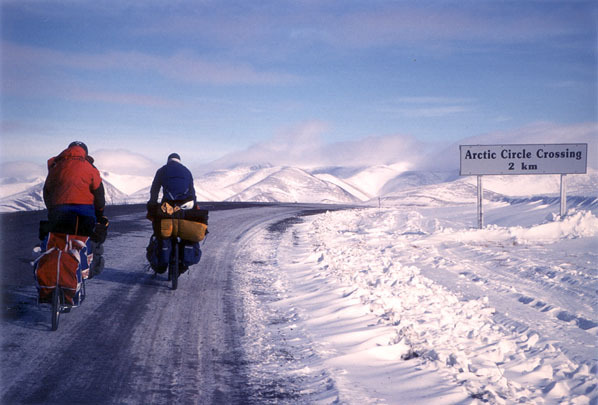 A photo that Gary took on our arctic bike trip will be appearing in the June issue of Hooked on the Outdoors magazine. The section of the magazine is called Epic Canada and Ray has an article about our trip accompanying the photo. It’s pretty cool that there’s still interest in a trip that we did back in ’98. You are currently browsing the Bicycle Forest Blog weblog archives for June, 2003.